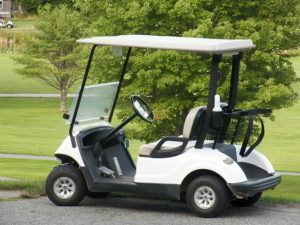 Golf carts are very useful equipment, and they are used in various businesses for a lot of different applications. Mostly they are used in golf clubs, hotels and first-class resorts to transport guests and other stuff. So keeping them in top shape to allow them to provide the optimum performance expected out of them is a must. One way of keeping golf carts in top shape is by getting the best golf cart batteries to provide them all the power they need for their everyday tasks. However, choosing the best ones can be very overwhelming due to the wealth of choices available today. If you are planning to purchase a battery for your golf cart and you are having a dilemma or getting confused on what to choose due to the overwhelming amount available. This guide and product may be very helpful to your cause. This golf cart battery guide is about the best batteries available today. It will introduce you to the top six best batteries for golf carts to help you decide what battery to go for. 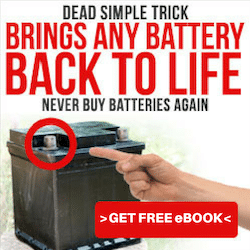 Product reviews that will talk about each battery and provide you all the vital information you need to help make a choice that will fit your requirements. Here are the top six golf cart batteries in the market and included in this list are the features they offer and the why are they selected and labeled as the best. Each product review below will provide you the information like their prices, ratings, key features as well as their pros and cons. Valuable information that will help you understand every feature, benefits, and downsides of each battery. Giving you an idea of what is the best suitable product for your needs that will help you make the right decision. On the top of this is list a product manufactured by Trojan which is one of the most recognized brands in the golf cart battery industry. Famed for producing top quality and highly reliable products, their latest release is considered to be one of the leading power cells in the market today. This T-105 6 V battery for golf cart is extremely reliable and tough that makes it an excellent choice. It offers an impressive amount of power which is 225 AH and it can provide it at a 20 hour rate. 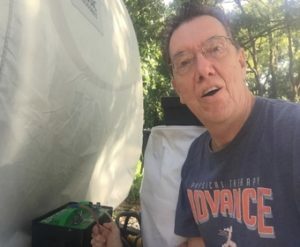 This battery is engineered to feature Trojan’s unique paste solution as well as their state of the art fiberglass separator. Capable of having up to 750 cycles, this battery is built to last and to maximize the performance it has to offer. This battery is manufactured to provide maximum performance, and it features a unique paste formula and fiberglass separator which only Trojan has. It is a designed to last to offer longer service life compared to other batteries out there. With 20-hour rate and an impressive 225 AH rating, this battery is great for powering golf cards. Not to mention, it has up to 750 cycles. T-105 is one of the heavier batteries available in the market today. With its 62 lbs weight, it can be inconvenient to use. The price of this battery is also in the higher range that can be a downside of the product. Despite having a high price tag and being the heavier products in the market, this battery offers a lot of great features to pass on. It is an extremely reliable and durable battery this is also a product that is built to last. With its 225 AH rating and being one of the best batteries in the market, the T-105 battery from Trojan is a great investment to have. Universal Battery Group is another well-recognized in the golf cart battery industry. Their latest model which is the UBGC2 is on this list because of the reliability and durability that it offers. It has a 200 AH rating, and it is specially designed to have a spill-proof housing. This battery is also built to have better vibration and shock resistance that allows it to offer longer service life. As a highly durable AGM battery, this is a great choice to power golf carts. The UGBC2 battery model is an AGM maintenance-free battery designed to offer up to 200 AH. It also features a spill-proof design, and it is a built to have better resistance to shocks and vibrations. This battery is also used to power a wide variety of vehicles and it comes with a one year warranty. The battery is also in the heavier side, and the self-discharge option that it features takes too long compared to other batteries. The ability of this battery to store charge decreases over time. Although the battery has its downsides, it is an extremely reliable and durable product that can be considered as a great investment. Manufactured by a trusted company and offering plenty of excellent features, this battery is a great product that is considered to power a lot of different vehicles. Making it one of the best of its kind in the market. Considered a very durable powerhouse, this GC2 battery model manufactured by Armstron is a reliable and impressive battery designed for golf carts. This power cell model is a 20-hour rate battery that can produce up to 210 AH. It also features a completely sealed housing that has an impressive vibration and shock resistance ideal for rough rides and bumpy terrains. With its compact design, this battery also occupies a smaller amount of space that makes it ideal for golf carts. The Amstron GC2 golf cart battery is a 6V power cell designed to have a spill-proof housing with excellent vibration and shock resistance. It is a 20-hour rate battery that has a product discharge that can be up to 210 AH. As a durable golf cart battery, it ideal for bumpy terrains and rough drives. It is also built to last and to offer a long service life. The price tag of this battery is also on the lower side that can make it an ideal choice for people on a tight budget. Some users are complaining about this battery that it can’t sustain its power output in the long run.  The battery is also unable to power or unsuitable for RVs. The GC2 battery model manufactured by Armstron is an ideal golf cart battery that offers long service life. It can also be a great choice because it offers a lot of power at a very affordable price. Although it can’t be used for RV coaches and it has a tendency to lose its consistency, for a golf cart it can be a great battery to use. Another great battery option for golf carts is the Deka Solar’s 8GGC2 gel type battery, a reliable and durable 6-volt power cell that has a 180 AH capacity. This is a battery specially designed to deliver optimum performance in hundreds of deep cycles. It is also engineered to provide an impressive amount of power. Since this is a gel type power cell, the electrolytes will stay settled in rough and bumpy drives. Making it spill-proof and durable that is ideal for golf carts. Capable of providing power up to 180 AH, this 20-hour rate battery is an excellent choice for golf carts. This 8GGC2 battery manufactured by Deka Solar features the gel type power cell technology that makes it the most advanced in this group. It is an extremely reliable and durable power cell that can last for a long time. With the state of the art technology, it makes the battery spill-proof and safer to use. A lot of users are disappointed on the lesser power that it can offer which is up to 180 AH. It is also a heavier battery, and it is on the expensive side. The Deka Solar 8GGC2 gel type battery is a solid product equipped with sophisticated battery technology that makes it a great choice for golf carts. Although it has a lower discharge at 180 AH, the excellent features it has allows it to provide enough energy to power golf carts. Due to its thick gel electrolytes, this battery is on the heavier side. But all in all, it is a great battery that offers long service life and has the ability to provide the amount of energy expected from it. And that makes it a solid choice. Lifeline Batteries is a brand is also widely recognized when it comes to the battery industry. It is a trusted brand that produces different products like marine batteries and car batteries. They became a notable brand due to the quality of products that they produce as well as their products’ excellent reliability. This battery is built following military standards to ensure durability, toughness and long service life. It is also an excellent power cell that has the ability to provide energy up to 220 AH. As a 20-hour rate power cell that is capable of having more than 1000 cycles at 50% deep charging, this is a powerhouse that will unleash the maximum potential of your golf carts. This GPL-4CT battery model manufactured by Lifeline Batteries is an extremely reliable power built to military grade standards. Making it the best available battery available today. It is an exceptional vibration and shock resistance to offer impressive toughness and durability. This power cell also features exceptional vibration and shock resistance that allows it to offer longer service life. As a 20-hour rate power cell that can have more than a thousand cycle in a 50% deep charging setting and offering up to 220 AH discharge. This is a powerhouse battery can be used in golf carts, RVs, a variety of vehicles, boats and solar applications. Lifeline Batteries’ GPL-4CT military grade power cell model is an extremely reliable 20-hour battery that can offer up to 220 AH. It can also offer more than 1000 cycles at 50% deep charging setting. Built to last longer compared to its competitors and this product is also ideal for boats, solar applications, RVs, golf carts and various vehicles. This battery is known to be a bit pricey and heavy that makes a lot of people think twice about buying it. That’s the only bad thing about this battery. Despite that fact that this battery is a heavy unit and has an expensive price tag. The fact that it is a military grade battery that can be used in an array of vehicles, RVs, boats, golf carts, and solar applications, I think the price is reasonable. It is also a heavy-duty power cell that can offer up to 220 AH and 1000 discharge-charge cycle. With a 5 out of 5 stars consumer rating on Amazon, this battery is a great investment that will give you the best value for your money. Another excellent brand when it comes to the battery is VMax; their MB6-225 battery is specially built to power golf carts. This model is an AGM battery capable of providing up to 225 AH of power. As a power cell built to have extreme durability, toughness and impressive resistance to shocks and vibrations, this battery can last up to 10 years. Allowing consumers to save a lot of money in the long run. It also reduces the maintenance cost since it is a low upkeep battery that adds to its great features. This MB6-225 battery model manufactured by VMax is specially built to power golf carts, and it can provide up to 225 AH of power. It can also be used in a variety of vehicles because it is a powerful and very reliable power cell. It also offers a long service life and excellent durability that makes it a great buy. This is the heaviest battery on the list, and it can be a pricey battery for people on a tight budget. This is one of the most solid choices if you are looking to buy a battery to power a golf cart. It can be a bit pricey and heavy, but the power that it offers is too great to pass on. The fact that this battery can survive for ten long years withstanding bumpy and rough rides, this is a great power cell to invest on. Those are the top six best golf cart batteries available on the market today. In the above list, you learned about the best batteries that you can use to power a golf cart. You got a lot of vital information and understood why they belong to this list. Each review has the complete details of the battery that you need to help you decide what is the best product to go for. We hope this article will guide you in choosing the best suitable battery that will give you the best value for your money.